‘Tis the season…time for soup! One of my all time favorite soups that is so easy to make is Black Bean, Sweet Potato and Quinoa Soup from Oh She Glows. Not only is it healthy, vegan and protein-packed, it’s also SO delicious and super easy to make. Seriously, it’s pretty darn easy! Great for a cold, rainy day like today. I added a handful of spinach at the last minute, just before serving. Vince added chicken to his for extra protein. And Voila! Toppings on the side included cilantro, tomatoes, avocado and lime wedges. 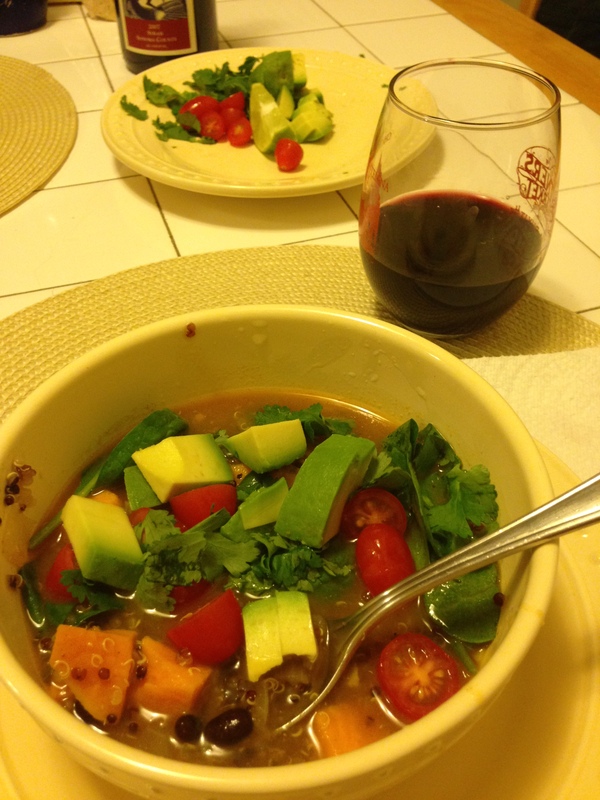 I used tricolor quinoa because I didn’t have red quinoa – that’s the great thing about this soup…you can add as much or as little of any ingredients to your liking, and it will turn out just as delicious! Other toppings that would be great are tortilla chips/strips and sour cream (or nonfat greek yogurt). 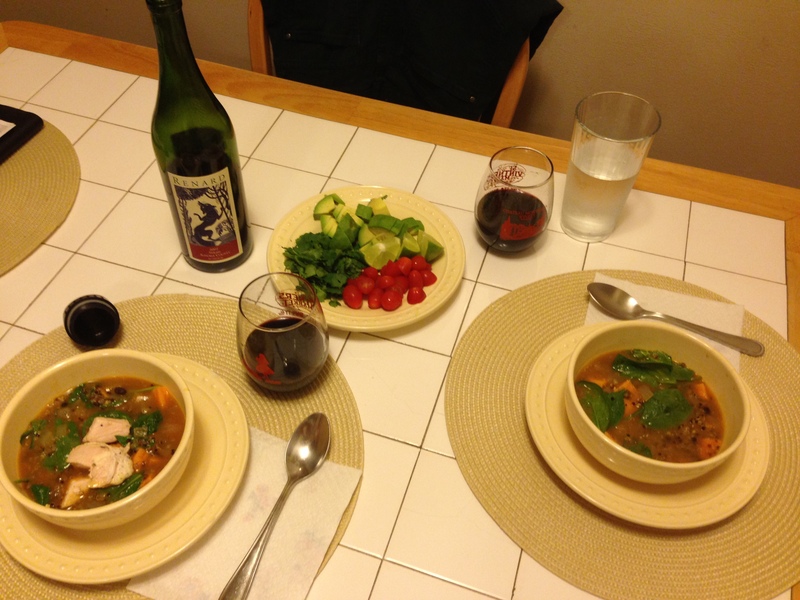 We enjoyed a glass of wine with our soup. Perfect for a rainy day! This soup is excellent. Perfect to make in large quantities and have for a couple of days for additional meals. Just leave the avocado off until you’re about to eat. When did you throw in the cherry tomatoes? I put the cherry tomatoes in as a topping, along with fresh squeezed lime, avocado slices and cilantro. Yum!